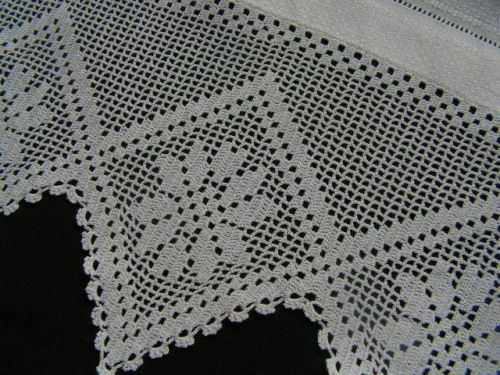 A beautifully long, white, huckaback towel measuring 44 inches by 23 inches and having very generous hand crocheted lace measuring 6.5 inches deep at one end. 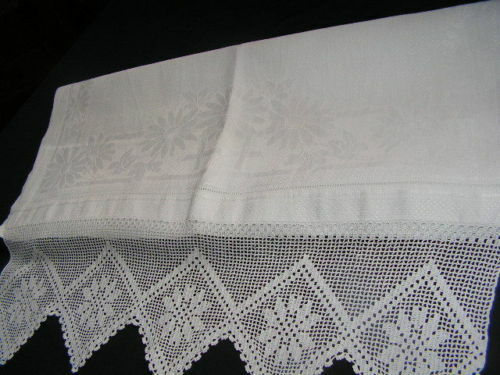 This is a beautifully long, white Irish linen, huckaback towel measuring 44 inches by 23 inches (including the lace) and having very generous hand crocheted lace measuring 6.5 inches deep to the bottom end. 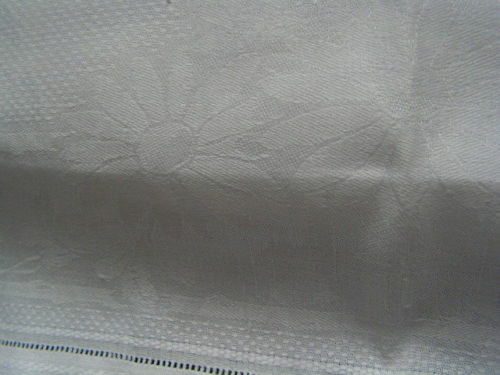 Mostly plain weave huckaback with a band of gorgeous damask woven large headed daisies at each end and sides. 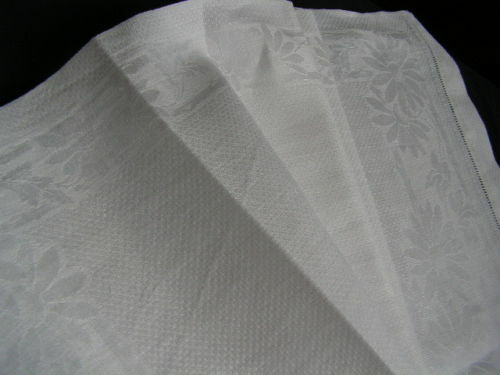 This beautiful bathroom linen is in excellent vintage condition, it does not have any holes or stains.